Get back on your bike quickly after a short toilet break. 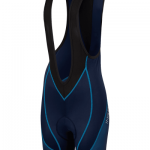 These bibshorts make your ‘pee stops’ much less of a hassle! 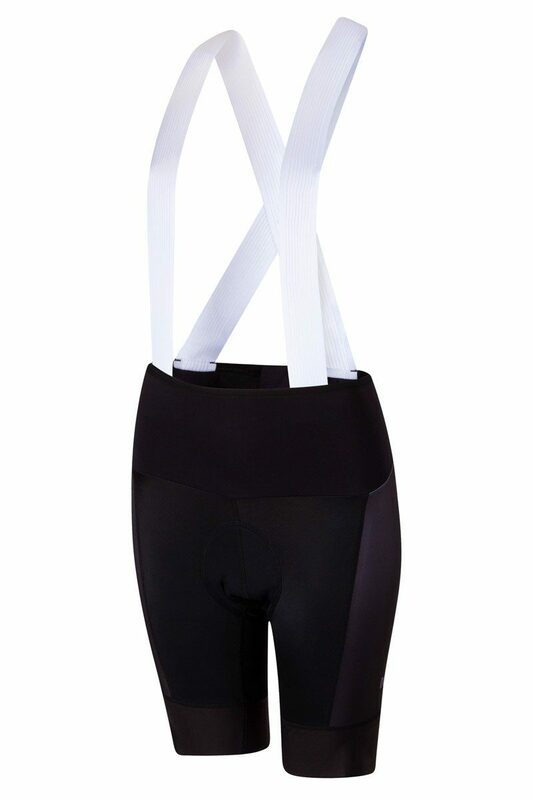 Just like a Little Black Dress, these cycling pants with zipper are an essential item in your cycle wear collection. THE solution for sanitary stops on the way: a zipper! Open the zipper and pull the pants down whilst your are squatting down. Thanks to the extra space that appears when you open the zipper, this is very easily done! The bibs are very elastic and will stretch sufficiently. There is no need to take your jersey off. The problem was well-known and many women were looking for this simple solution: discover these comfortable black bibshorts with a zipper. There comes an end to having to take off your cycling jersey stuffed with gear and food whilst going to the toilet for a quick ‘pee break’. You’ll never have to hide yourself barely dressed, squatting in the bushes. And forget about wasting time on the toilet that you should’ve better had spent on your bike! 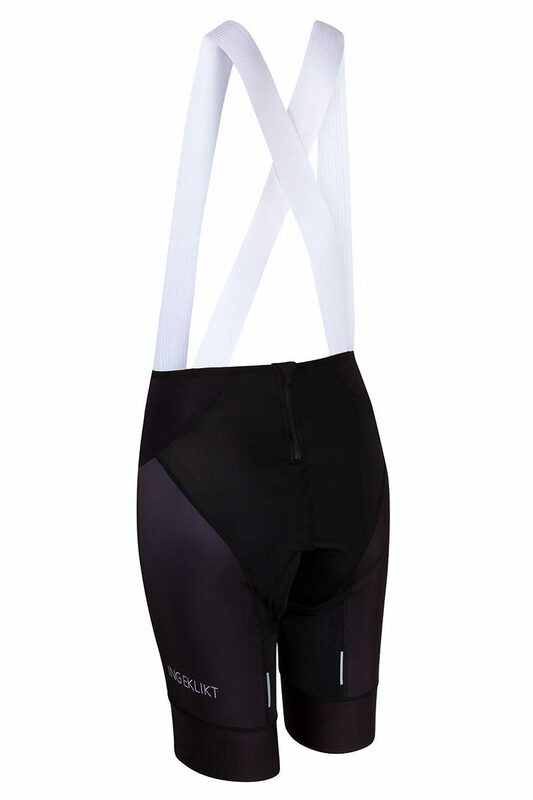 Do yourself a favor and order The Little Black Bibs. We’ve tested it thoroughly ourselves and next to THE zipper, it also features convenient bibs that you can cross on your belly or back (whatever you prefer). Add the comfort of the extra wide elastic hems around your upper legs and you’ll never want to ride your bike wearing any other pants. 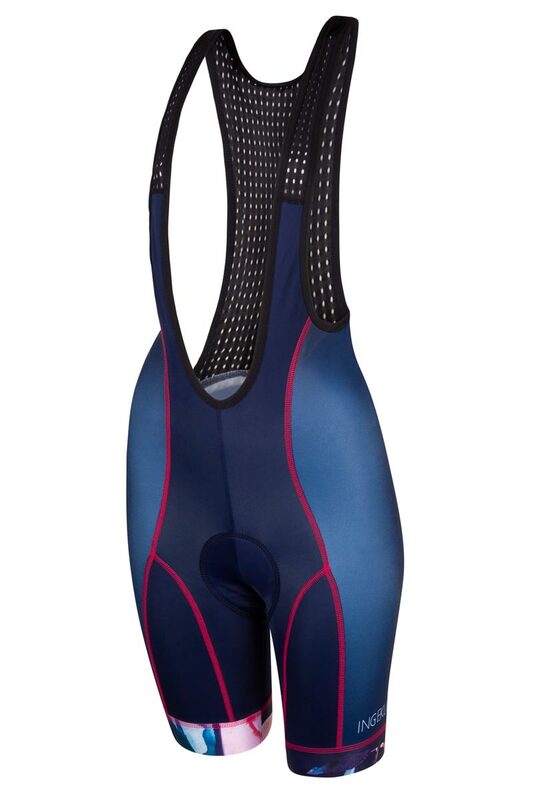 These women’s bibshorts are standardly available in size S up to 3XL and on request in size XS and 4XL.